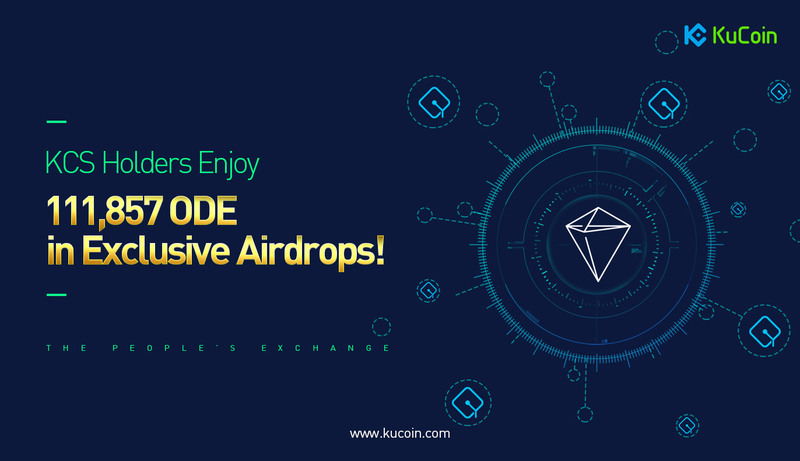 To celebrate the listing of ODEM (ODE) on KuCoin and reward KCS holders, we have a total of 111,857 ODE tokens to be airdropped to KCS holders who are holding 50 KCS or more on KuCoin. The amount of ODE airdropped to each qualified KCS holder will correspond to their percentage holding of the total KCS balance held by all KuCoin users at the time of the snapshot. We will take a snapshot of KCS balances at 18:00 on 17/4/2019 (UTC+8). KCS balances under 50 KCS (including those in trade orders) will not be eligible for the airdrop.